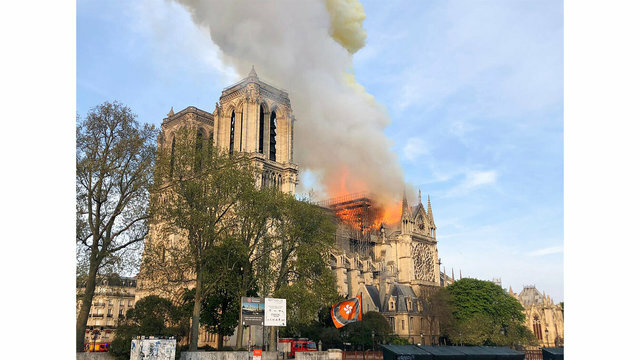 PARIS (WAVY/AP) -- A woman who is on vaction in Paris spoke with 10 On Your Side about witnessing Monday's fire at the Notre Dame Cathedral. 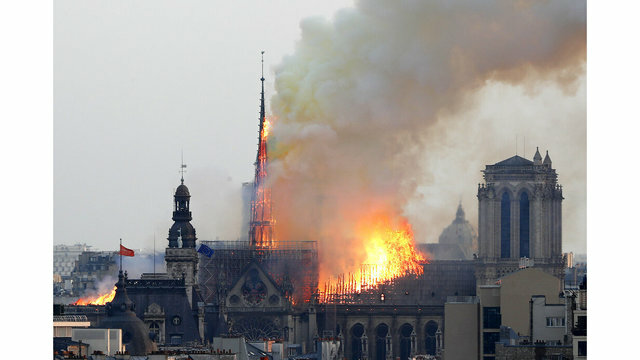 Cequyna Moore said she was about a mile and a half from Notre Dame when it burst into flames Monday. 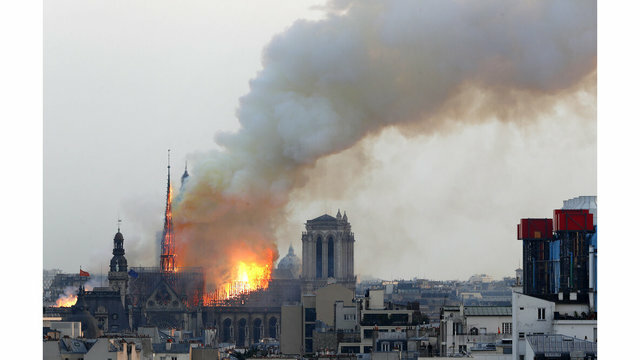 The Associated Press reports the fire collapsed the 12th-century building's spire and burned through the roof, but the structure was saved. 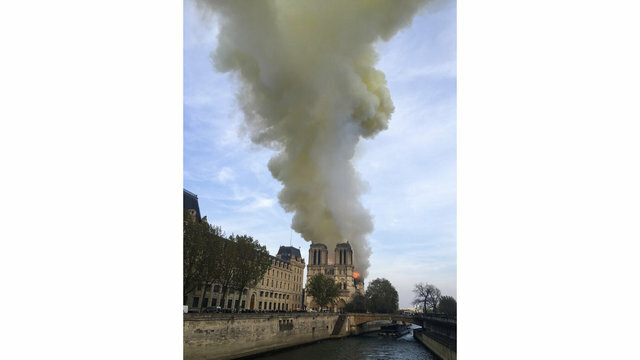 Those living near Notre Dame were evacuated as a precaution. 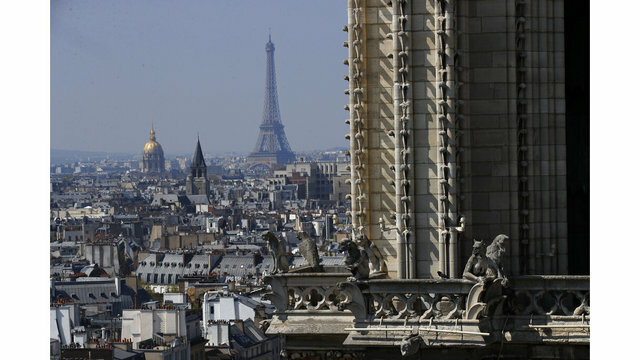 Moore, who lives in New York City, visited Paris with her family from the Hampton Roads area. 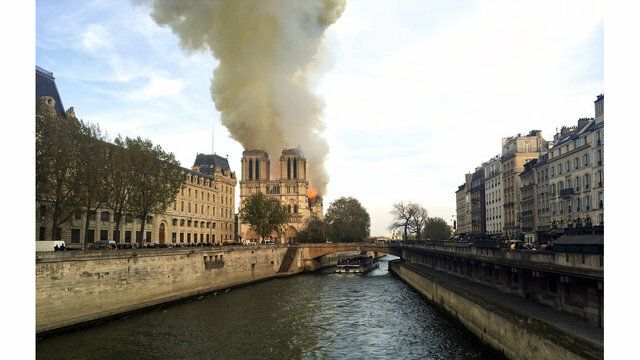 She has a background in historical preservation, and went on the trip to see the architecture in Paris. 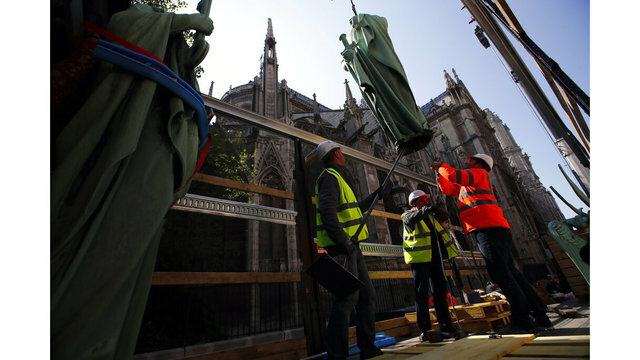 "It is heartbreaking to see that, and also knowing there may also be some relics there that are lost," Moore said. 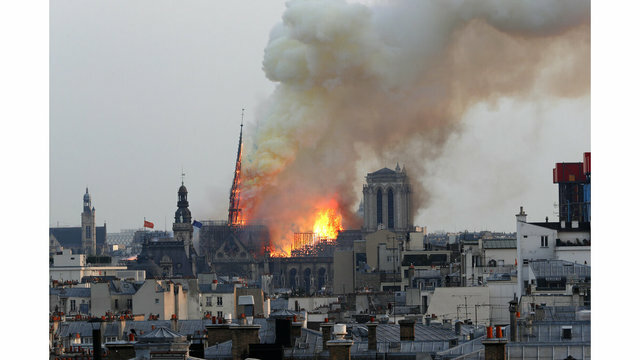 Moore said she smelled smoke, but did not think the fire was coming from the cathedral. 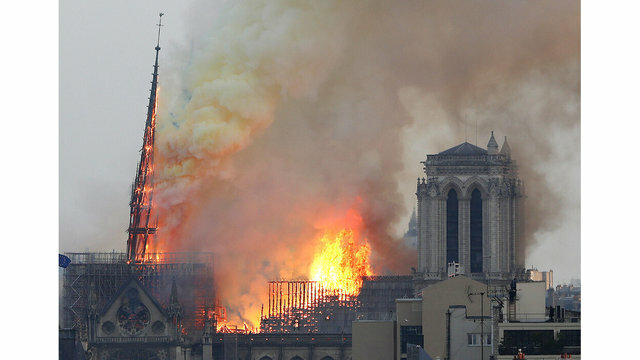 Once she realized it was Notre Dame, she worried about others. "My first thought was safety. 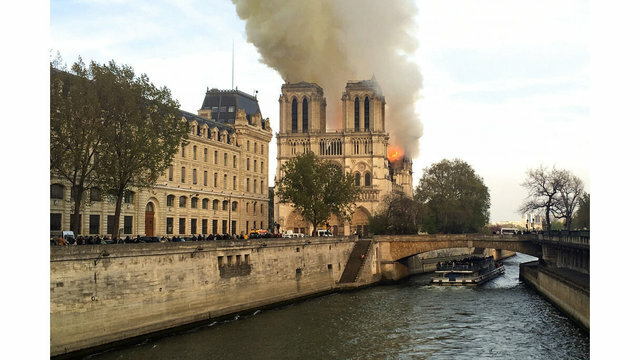 My next thought was I didn't think it was a terrorist attack because the area is well patrolled and there are a lot of checkpoints to get to the museum," Moore said, who was outside Notre Dame hours before the fire. "It was very surprising to see it happen," she said. "It was the last thing I would think about, because earlier in the day I was admiring the flying buttresses and the construction from the era and how it allowed for the height of the walls to accommodate the beautiful stained glass." 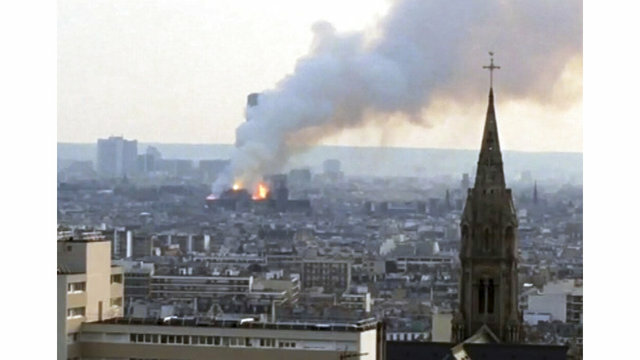 The fire is being considered an accident, as authorities have ruled out arson and possible terror-related motives. 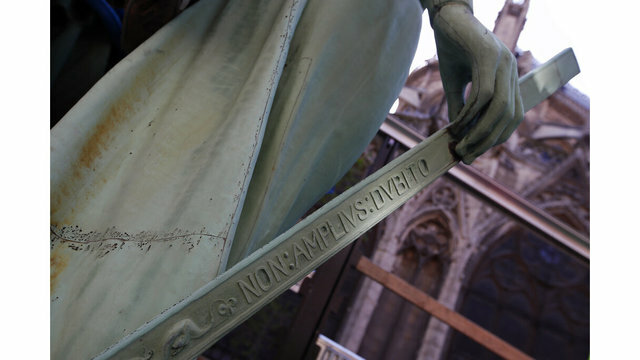 French President Emmanuel Macron said a national fundraising campaign to restore Notre Dame was launched Tuesday. Many governments said they were considering contributions to what would be a significant architectural undertaking.